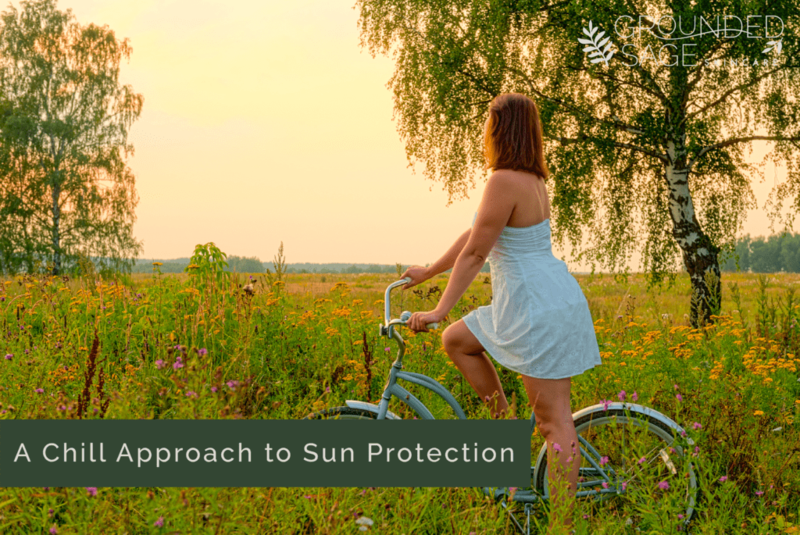 As we enter the time of year when our days are longer, the air becomes warmer, and we find ourselves spending more time outside, we’ll also start to get bombarded with articles, messages, and information about sun protection. 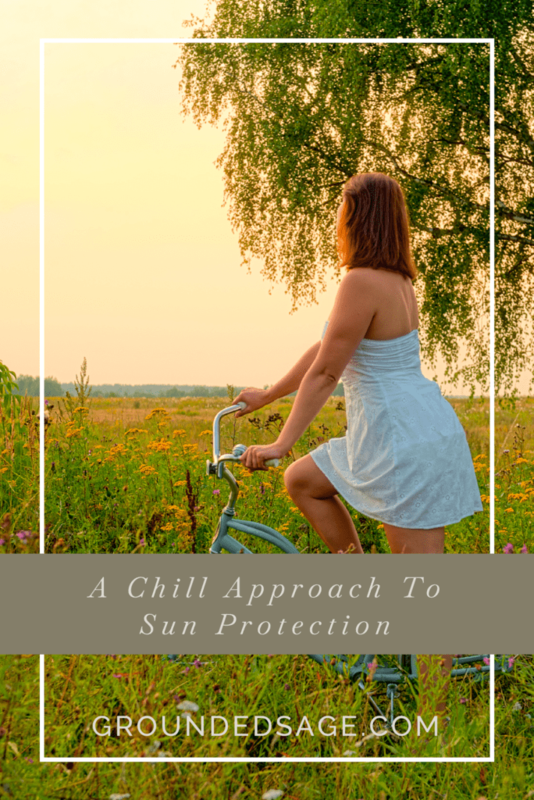 I know the flood of sun protection info has started to kick up a little bit already, so before we’re in full-on FOMO mode about what we should and shouldn’t be doing as far as sun protection goes, I thought I’d send out a little message to share with you my “chill” approach to being sun safe 😎. You know that being sun safe is important, and you likely know all the reasons why, so…I won’t ramble on with a bunch of sun-related facts. However, there are a few things I’d like to make note of so they are top of mind as I share my personal approach. There are two types of sun rays that we need to keep in mind. UVB, the “burning” rays. And UVA, the “ageing” rays. There are two types of “slather on” sun protection: chemical sunscreen and physical sunblock. Chemical sunscreen absorbs UV rays – kind of like a battery absorbs power. Once the battery is full, no more power can be absorbed. The same goes for chemical sunscreen. Once the ingredients have absorbed all they can, your skin goes unprotected. This is why “reapplying” is always a critical piece of advice. Physical sunblock, on the other hand, uses natural mineral ingredients that block UV rays from reaching the surface of the skin. Like a shield, these minerals reflect the rays away from your skin rather than absorbing them. Note that they need to be reapplied every so often as well, especially if you’re sweating or swimming to ensure there are no “holes” in your shield. Physical sunscreens use zinc and/or titanium dioxide that sit on top of the skin. Because zinc reflects both UVB and UVA rays, it’s the best option for broad-spectrum facial care. Why reflect both “burning” and “ageing” rays? 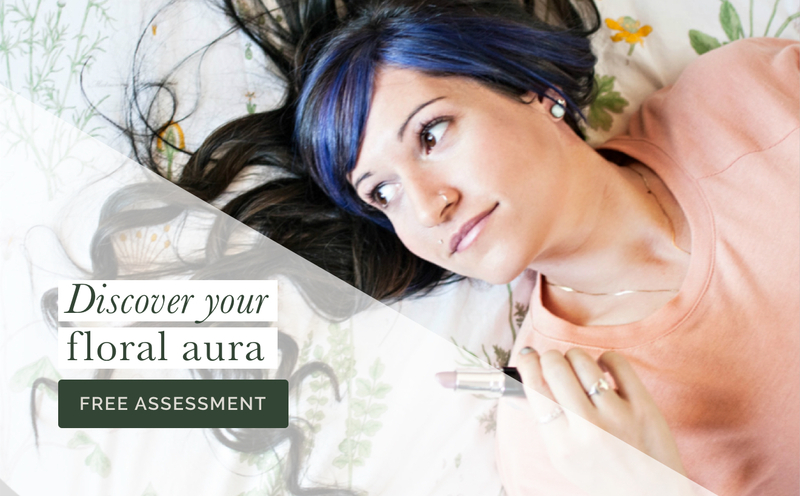 Reflecting burning rays is pretty obvious – they HURT, damage and burn your skin! But what about ageing rays? They also hurt the skin; it’s just not as obvious within a short time frame like the damage caused by burning rays. Exposure to UVA (ageing rays) causes free radicals which damage our skin’s DNA! Note that both UVB and UVA rays can cause cancer, so it’s a no-brainer that we want to reflect both based on this fact alone! Radiant Rebels with acne or rosacea can also find that too much exposure to UV rays can promote a flare up, while small amounts of exposure can help clear things up! The waters get pretty muddy pretty fast about whether you’re helping or harming (in the case of rosacea, it’s rarely the case that sun exposure is helping), so I vote for playing it safe by minimizing exposure. 1) My first line of defence will be to wear a 20% zinc facial moisturizer during the day. I’ll wear the 20% zinc moisturizer OVER TOP of my beloved Patchouli Facial Moisturizer during the spring. 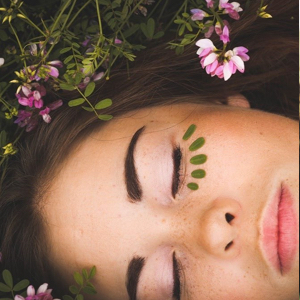 When the summer hits and the oils in my skin kick up production (as you can probably relate to), I’ll start using my Patchouli Moisturizer at night and a 20% zinc facial moisturizer during the day. Why 20% zinc? There’s a fast and dirty rule of thumb for figuring out SPF coverage when formulating physical sunblocks. The rule of thumb is for 1% of zinc added to a formula, the SPF works out to roughly 1.5 SPF in a finished formula. At 20%, we’re looking at a rough estimate of 30 SPF. The fast and dirty rule isn’t a “hard rule” as lab testing is required to nail down the actual SPF coverage of a product. The 20% zinc facial moisturizer I’ll be using is our very own Calendula & Oat Facial Moisturizer! 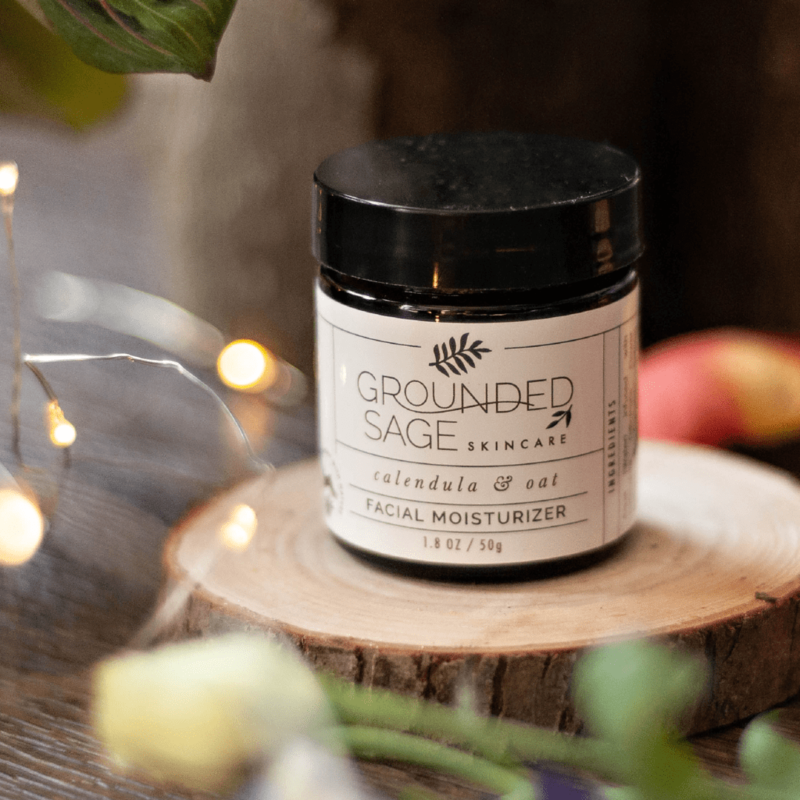 It goes on velvety smooth, gliding effortlessly across the skin, which is what makes it super easy for me to apply over top of my Patchouli Moisturizer. And let’s face it, my desert marigold skin could use the extra layers after the way winter has treated it. 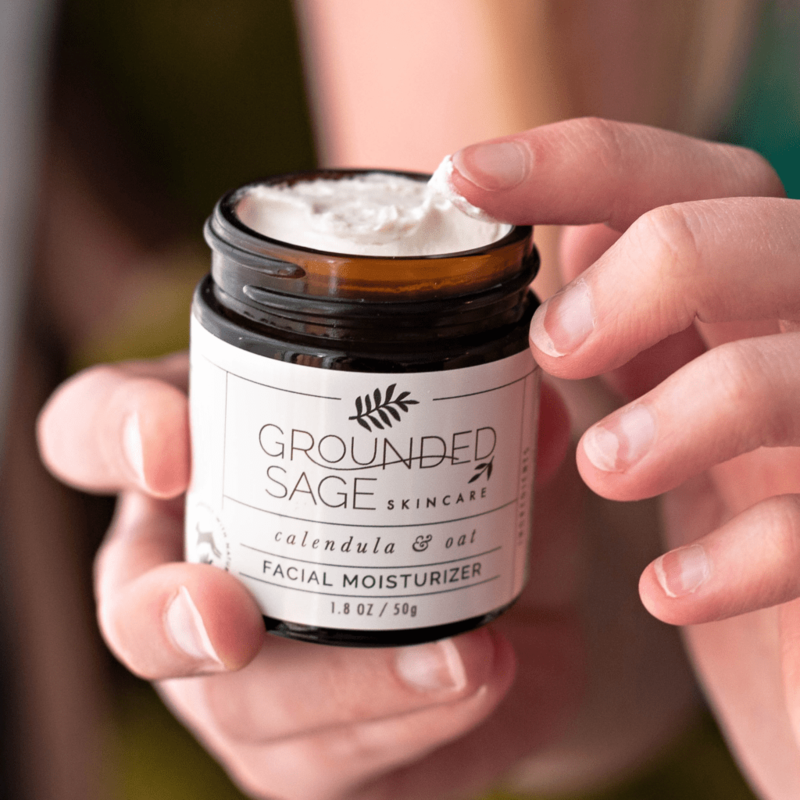 I don’t often wear makeup, but if/when I do, I’ll apply the Calendula & Oat Facial Moisturizer first as it creates a complexion-evening canvas. Then I’ll apply my foundation or cc cream (depending on the occasion and level of coverage I’m after) over top. When I need extra sun protection (and body protection), I’ll be using my trusty Green Beaver Sunscreen and their sun protection lip balm. Keeping my shoulders covered with light, flowing materials – preferably in a floral print. Smearing on a clean and kind lip balm that contains sun blocking zinc – my fav is this one. Using my tried and true green beauty, mineral sunscreen from Green Beaver (SPF 40) for my legs, arms, back of my neck, and the tops of my feet. (Remember, I’ll be protecting my face with C&O Facial Moisturizer. I’ll also use C&O on the tops of my ears, the front of my neck, and my chest). This third line is “x2” because I’ll be using the power of plants in two different ways. The first way is on the inside by consuming antioxidant-rich foods. Why is this important? Because antioxidants delay or inhibit the damage that free radicals attempt to do to our bodies (UV exposure = free radicals)! Loading up on antioxidants means your body can defend itself against damage. And, for all the acne prone gals like me, we need more antioxidants than the average person to stay clear! This is because our oil is quicker to oxidize – when this oxidization happens (hi free radicals! 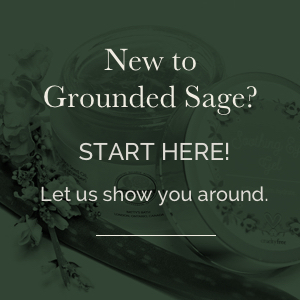 ), a highly pore clogging substance is created within our oils, which… you guessed it, leads to breakouts! So by loading our body up with antioxidants, we’re providing our internal systems with the building blocks they need to keep oxidization to a minimum. Since I’ll be exposed to more UV-creating free radicals as the weather turns warmer and I’m outside more, I’ll be adjusting my antioxidant consumption accordingly (more smoothies baby! 😋). Which leads me to the second way I’ll be using the power of plants! Since we need a stockpile of antioxidants to keep our skin clear, it only makes sense to provide antioxidants not only internally (so our system can stop damage on a deeper level) but also externally (so we can prevent breakouts and damage on the outer, more exposed layers of skin). The beauty of green ingredients, especially plant-based oils, is that they are packed with antioxidants. You’ve probably heard me talk a lot about my love affair with oils before (pst… if the word “oil” scares you, check this out), but what I don’t mention often is that many of these oils (and some butters) provide natural SPF protection from the sun! While they won’t replace the need for sunblock, they are a great “sidekick” in the fight against damage caused by UV exposure. Oils that are particularly high in natural SPF are carrot seed oil, raspberry seed oil, wheat germ oil, avocado oil, and pomegranate seed oil. Oils that sit around a natural SPF of 10 or less include soybean oil (SPF 10), macadamia nut (SPF 6), and jojoba oil (SPF 4). Again, these won’t replace the need for sunblock so don’t think you can slather one of these oils on and sit out in the yard all day. Instead, look for “leave on” skincare products like moisturizers, serums, foundations, and cc creams that include them so you get a little extra protection underneath your sunblock. As an added bonus, those plant oils will also be giving your skin all of these additional benefits. 4) Finally, my last line of defence will be to chill! When it comes to my skin, the worse thing I can do for it is to stress out! So to keep my complexion clear this spring and summer, I’ll be unsubscribing from FOMO, counting my blessings, playing in the dirt (I can’t wait to get gardening again! ), staying hydrated, prioritizing sleep over another chapter in the book I’m reading or another episode on Netflix, refuelling under the stars, taking deep, restorative breathes of country air, and finding comfort in knowing I’ve got a routine to keep my skin nourished, protected, and glowing. So there you have it, my chill approach to staying sun safe! As you can see, besides following a healthy lifestyle in general and being sun safe, the most notable tweaks are adding C&O facial moisturizer to my routine and an SPF lip balm. Easy peasy!